Two more Houston-area school districts near a burning petrochemical tank farm have called off classes. The Galena Park and Sheldon school districts joined the Deer Park and La Porte public school systems in cancelling Friday classes. 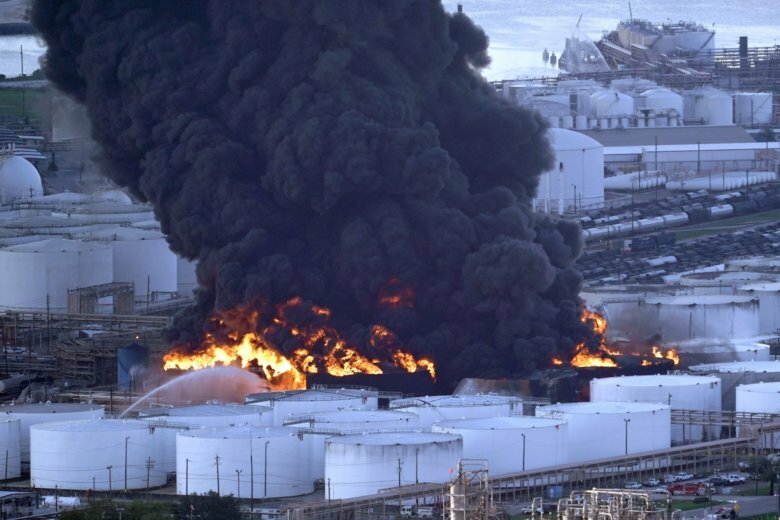 The systems’ officials were taking a cautious approach for fear of a repeat of Thursday’s shelter-in-place warning because of conditions at the Intercontinental Terminals Co. tank farm, where a fire this week raised fears of toxic contamination. Authorities haven’t revealed the cause of the blaze. Authorities say winds are light Thursday so the vapors aren’t spreading beyond the immediate area of the ITC plant. The Environmental Protection Agency said Wednesday that benzene levels near the facility didn’t pose a health concern. But authorities now say a shelter-in-place order following “reports of action levels of benzene or other volatile organic compounds” within Deer Park.